2016-21-22: In their end-of-year edition, the «Weltwoche (PDF, 3750 KB)» interviews David Dorn as one of the key Swiss economists of 2016. He explains how academic economics has changed over the last years and why he finds the labor market to be one of the most exciting areas to study. In the interview he also puts into perspective the idea that computers will take over a vast amount of office jobs in the near future. 2016-12-19: As David Dorn explains in his opinion piece in the current edition of «Finanz und Wirtschaft», protectionist measures will not bring back jobs to the US which were lost to the growing Chinese economy in the last decade. 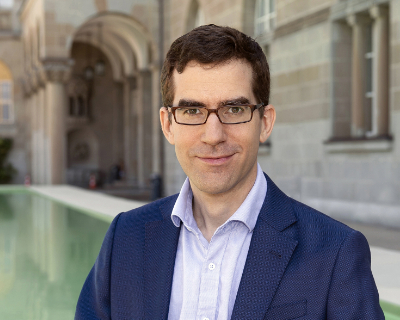 2016-12-19: Christian Ruff receives a coveted ERC Grant (2 million euros) to further his research on understanding which mechanisms within the human brain are responsible for controlling our decisions and actions when dealing with other people. His group uses a unique multimodal approach that combines computer-aided modeling of social choices with new combinations of brain stimulation and neuroimaging. 2016-12-12: Refuting the common assumption that areas with limited social mobility were more prone to vote for the Republican Party compared to the election in 2012, David Yanagizawa found the opposite to be the case, as he explains in a recent issue of the online magazine VOX. In short: places with higher social mobility were more likely to vote Republican than places with lower social mobility. He adds that looking at social mobility in a county can explain around 80% of the increase in support for Trump compared to the last Republican candidate –Romney. 2016-12-11: The NZZ am Sonntag interviewed Dina Pomeranz on her decision to come back to Zurich to further her academic career and be part of the "Zurich Center for Economic Development". Pomeranz talks about how broad and exciting economics as a subject is, and the importance of measuring the effectiveness of development projects. 2016-12-06: The competition from Chinese imports not only led to a decrease in the need for low-skilled manual labor, the Wall Street Journal explains, quoting recent research by David Dorn et al. The tightening of the margins led to savings in R&D causing the number of patents issued in computers and electronics manufacturing to fall dramatically in the period of surging Chinese imports. 2016-11-29: The New Yorker quoted Joachim Voth’s Blog about the parallels between 1933 Germany and 2016 America, painting a bleak picture, "but proving Voth wrong will fall on American democracy, the institutions that claim to embody it, and the people who say they value it." 2016-11-22: The Wall Street Journal quotes recent research by David Dorn et al. and looks at the concrete effect the increase of Chinese imports had on voting behavior. They found that for every 1 percentage point in increase of Chinese imports between 2002 and 2014, the votes for Donald Trump increased by 2 percentage points, compared to the share of votes Georg W. Bush received in 2000. 2016-11-09. Fabrizio Zilibotti explains how the economic environment parents find themselves in defines the parenting styles they tend to chose. Countries with high inequality (e.g. US, China) tend to have to higher rates of helicopter and authoritarian parenting styles, emphasizing the value of education and hard work. Areas with lower inequality, such as Sweden and Switzerland, on the other hand, have higher rates of more permissive parenting styles. 2016-11-09: In the follow up of the US-election the Rundschau discusses the direct influence of the economy on the election results, based on a map created by David Dorn and co-authors. The map visualizes the areas in the US hit hardest by the loss of manufacturing jobs to China and shows how unemployment and decreasing wages have direct political consequences. In areas most affected by job losses, politicians with more extreme views are elected, making it harder for the two major parties to cooperate and solve local and national problems. 2016-11-04: The German economist program «makro» interviews David Dorn on the decisive factors of globalization and the effects on the political landscape in areas in which the losers outnumber the winners of the process. David Dorn explains how the manufacturing workers in the US are hit hardest: They have fewer options to find new employment in other sectors and are more likely to have to take on lower paid jobs than their better educated colleagues. The disadvantageous trade ratio between the US and the lack of redistribution from the profiteers multiply the difficulties and have led to political polarization. 2016-10-20: Serge Gaillard, Member of the Department of Economics’Advisory Board held a talk on Switzerland's challenges in economic and financial policies. After presenting the reasons for the nation's relative good weathering of the economic storm to date (a flexible labor market, the positive economic effects of the free movement of persons, strong domestic demand and the Swiss golden rule of adhering to the debt brake to support the cyclical stabilization), he pointed to the challenges awaiting the next generation of economists: exchange rate stability, the questions of relaxing fiscal policy (or not), and, as the most pressing issue - the rising costs of the health-care sector. 2016-10-20: Neurobiological models of self-control usually focus on brain mechanisms involved in impulse control and emotion regulation. Recent research published in«Science Advances» by Alexander Soutschek, Christian Ruff and Philip Tobler shows that the mechanism for overcoming egocentricity also facilitates self-control. This opens up new possibilities for therapeutic interventions. 2016-10-13: Female Genital Cutting (FGC) constitutes a serious health risk for millions of girls and women but remains prevalent in many areas of the world. In a recent paper published in «Nature», Sonja Vogt, Charles Efferson and Ernst Fehr found a promising approach to change attitudes within cutting communities. In their study they produced fictional movies including a subplot about a family in the process of discussing whether to have their daughters cut. The results show that the movies had a positive influence on attitudes towards uncut girls and therefore repeated exposure to similar movies could be a discreet but effective intervention to reduce female genital cutting. 2016-10-05: Josef Falkinger, Professor Emeritus, answers some of the big economic questions in the current edition of "Perspektiven der Wissenschaft". Depending on the vantage point one takes when viewing economic reality, different aspects come into focus while others dissolve, he argues. This becomes apparent in the basic definition of wealth: Looking at it from a production and productivity point of view leads to very different inferences than seeing it as an asset, which simply wants to be acquired. These vantage points directly define major decisions regarding state involvement, justice and redistribution and therefore call for conscious awareness. The breadth of the topics covered and the wisdom of an emeritus makes this a very recommendable read. 2016-10-02: The "NZZ am Sonntag" interviews Ernst Fehr on the growth the of the Department of Economics and the competitive environment Universities find themselves in to get the best scientists on board. With the support of the the UBS Center the Department has appointed 7 new professors and has proved that it can meet several US elite universities at eye level when it comes to recruiting the best talents. 2016-09-28: Does the positive effect of social comparison outweigh its downside? Can the resulting higher collective economic performance make up for costs of individual unhappiness, overconsumption and private bankruptcy? 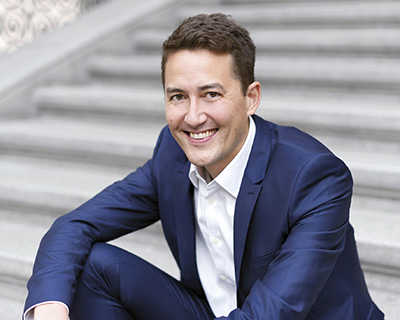 In his current column in the «Finanz und Wirtschaft», Joachim Voth presents insights pointing to the real costs of conspicuous consumption in the wider society. He argues, that, just as the Nuclear Non-Proliferation Treaty regulated the arms race, progressive and luxury-item taxation could take the heat out of the consumption race in an increasingly unequal world. 2016-09-28: In today's edition of the NZZ Hannes Schwandt argues how a person's long-term success and income is affected by their mother's health during pregnancy and birth weight, pointing to the positive effect of health interventions (e.g. the flu-jab) during pregnancy. He points to the opportunities of having such data available and the untapped potential within Switzerland to be able track the success of interventions and improve health during this key time of a person's life. 2016-09-27: During the recent European Economic Association's 2016 Congress in Geneva, Fabrizio Zilibotti (President of the EEA) held the presidential address, presenting his research on the the growth and current slowdown of the Chinese economy. In this succinct piece, Professor Zilibotti explains how China managed to grow at the speed it has in the past and which big policy challenges now lie ahead. 2016-09-27: Last Thursday – 70 years after Winston Churchill’s historical speech on Europe that took place in the aula at the University of Zurich - Paul Krugman talked about the future of Europe with a focus on fiscal and monetary policies and the European Monetary Union. Krugman’s lecture which was hosted by the UBS Center attracted over 600 people and received considerable media attention. If you missed the speech, you can watch the whole lecture on YouTube. 2016-09-26: Prof Hoffmann explains how the new economic reality makes its way into teaching macroeconomic theory at the department of economics in a recent arcticle in the Handelszeitung. A lot is being written on the influence of financial markets at the moment, however, he concludes, these have not yet led to a new standard model ready to be incorportated into a curriculum. In the mean-time, he notes, there has been a change in the way macroeconomics is taught: Absolutes and dogmatic views are giving way for a discussion allowing for more focus on historical comparisons. 2016-09-14: In a recent article in Finanz und Wirtschaft, Prof Dorn takes a look at the history of automation in the workplace: the fears that machines would make human work obsolete, especially in low paid industries, has accompanied automation since its beginnings.The current phase of automation is affecting middle-income jobs, leading to an increasing income gap. Humans still outdo computers in tasks requiring creativity, decisionmaking and problemsolving skills (which remain highly paid) and lower product prices lead to more demand for personal services, creating jobs at the bottom end of the income scale. 2016-09-12: In a recent interview for China’s largest Newspaper «People’s Daily», Fabrizio Zilibotti explains how China is now standing at a historical point in time, moving from an investment and export driven to an innovation driven economy. China’s investments into R&D in relation to its GDP are at a similar level as within the EU, pushing forward the innovation based growth strategy. Professor Zilibotti continues recommending further steps: eliminating entry barriers and breaking up monopolies, loosening financing restrictions for SMEs and further investment into building high-tech industrial parks. 2016-09-01: As of September 1st, Josef Zweimüller will serve as the Deputy Dean for the Faculty of Business, Economics and Informatics. He is the successor of Armin Schmutzler who held the position from 2014 to 2016. The Department would like to thank Prof. Schmutzler for his work and dedication during his years in office and congratulates Prof. Zweimüller on his new role. 2016-09-01: This fall semester five new professors will be starting at the Department of Economics. We are delighted that they have decided to join us on our path to excellence in research and teaching. Welcome! Lorenzo Casaburi has been appointed Assistant Professor in Development Economics. Before he joined the Department of Economics, he was a Postdoctoral Fellow at the Stanford Institute for Economic Policy Research (SIEPR). His research focuses on two main agendas in Development Economics: agricultural markets in Sub-Saharan Africa and state capacity, with an emphasis on tax enforcement. Damian Kozbur was appointed Assistant Professor of Econometrics and joined the Department on August 1st. Damian Kozbur holds a PhD in Econometrics and Statistics from the University of Chicago Booth School of Business. Before joining the Department of Economics, he was a Postdoctoral Fellow at the Center for Law and Economics at ETH Zurich. His research focuses on inference in high dimensional econometric models, big data and the applications of econometrics in development. Dina D. Pomeranz was appointed Assistant Professor in Microeconomics, starting September 2017, and is a visiting professor at the Department since August 1. Before joining the Department she held a position as Assistant Professor at the Harvard Business School. 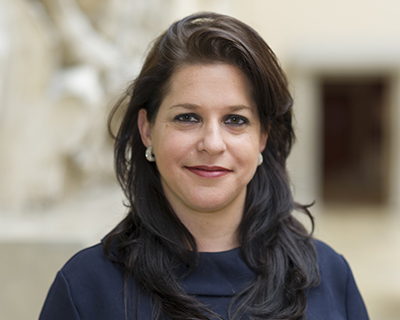 Her research focuses on public policies towards firms and entrepreneurs in developing countries. She has conducted large-scale randomized field experiments on tax evasion by firms and the determinants and impacts of formal savings for low-income micro-entrepreneurs. David Yanagizawa-Drott has been appointed Professor for Development and Emerging Markets. Before working for the University of Zurich, he was an Associate Professor of Public Policy at Harvard Kennedy School. His research interests include economic development and political economy, with special focus on civil conflict, health, information and mass media. Prof. Ralph Ossa has been appointed to the Professorship in Economics of Globalization and Emerging Markets, endowed by the UBS Center, per January 1, 2017. Professor Ossa is currently Associate Professor of Economics and Neubauer Family Faculty Fellow at the University of Chicago Booth School of Business. His research focuses on international trade, economic geography, and economic development. Prof. Florian Scheuer has been appointed to the Professorship in Economics of Institutions, endowed by the UBS Center, per January 1, 2017. Professor Scheuer is currently Assistant Professor at Stanford University and has been a visiting assistant professor at Harvard University and UC Berkeley. His research focuses on public finance, taxation, competitive markets, and game theory. 2016-08-16: The online-platform U.S. News interviewed Professor David Dorn for their article on the profound impact computers have in the labor market. Dorn explains that by substituting human labor in a wide range of clerical jobs through computers, not only the share of production employment but also the share in the overall employment of clerical occupations is declining since the 1980s. The U.S. government expects to see an 8 percent decline in the bookkeeping, accounting and auditing clerk industry sector between 2014 and 2024. 2016-07-23 Italy is at risk of falling into chaos, Fabrizio Zilibotti summarizes the current situation of our southern neighbour. Although President Matteo Renzi has already implemented an impressive number of reforms for economic recovery in his relatively short term in office, three roadblocks are threatening their success: Reform of the political institutions, a potential Italian banking crisis and the luring but dangerous promises of the Movimento Cinques Stelle. 2016-07-14: In two interviews published today, David Dorn explains why wage inequality remains lower in Switzerland than in other European countries and how the share of income generated by labor has steadily decreased over the last 20 years. He also points to weaknesses of the available data and interpretation of the figures: E.g. Pension Funds, which represent a significant share of their individual wealth for many people in Switzerland, are not included in wealth statistics. Read the interviews (in German). 2016-07-08 The weekly transmission Falò on the Swiss Italian TV RSI explores the myths and realities of midlife crisis. Hannes Schwandt talks to the program about his research on the u-shape of life satisfaction and the roots of midlife crisis, explaining how it affects the majority of people. 2016-07-06 Damian Kozbur was appointed Assistant Professor of Econometrics by the Board of the University on July 4, 2016. He will join the Department on August 1st. Damian Kozbur holds a PhD in Econometrics and Statistics from the University of Chicago Booth School of Business. Before joining the Department of Economics, he was a Postdoctoral Fellow at the Center for Law and Economics at ETH Zurich. His research focuses on inference in high dimensional econometric models, big data and the applications of econometrics in development. Welcome Damian Kozbur! 2016-07-01: Prof. Dr. Philippe Tobler, born. 1972, has been appointed Associate Professor for Neuroeconomics and Social Neuroscience by the Board of the University. Prof. Tobler studied at the University of Berne and attained a Master in Experimental Psychology in 1998. He received his PhD in 2004 from the University of Cambridge and spent the next years as a Postdoctoral Research Fellow in Cambridge and as a Research Fellow at the University of Oxford. Prof. Tobler joined the Department of Economics in 2010 as a SNSF Assistant Professor. Between 2010 and 2013 Prof. Tobler also held a role as Associate Professor in the Finance Department at Tilburg University. 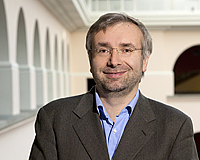 2016-06-27: Rainer Winkelman has been elected as a member to the Academia Europaea. The Academia seeks to promote a wide appreciation of the value and importance of scholarship in Europe and provides advice to European institutions concerning matters affecting science, scholarship and academic life in Europe. It consists of nominated eminent scientists and scholars. With the election of Professor Winkelmann the Department of Economics now has two appointed members in the Academia Europaea. Congratulations! 2016-06-07: The Department of Economics held the Swiss Theory Day on June 7, 2016. More than 20 Graduate Students, Post-Docs and Professors from across Switzerland came to Zurich for an intense day of ongoing research in microeconomic theory. The event offers early stage researchers a platform to present and discuss their research with more senior scientists and Professors. The Swiss Theory Day is a successor of the Zurich-Basel Workshop and a result of the growing interest and need for such platforms. 2016-06-06: The graduation ceremonies for the students of the Faculty of Business, Economics and Informatics took place on May 25, 2016 and June 1, 2016. This term 42 students from the Department of Economics received their BA diploma, 37 their MA and four their PhD degree. Congratulations to all recipients. 2016-06-04: In this edition of Finanz und Wirtschaft Professor Voth discusses how index funds are becoming increasingly powerful market forces undermining antitrust regulations. He argues that, given the structure of their portfolios and their influence on multiple companies within an industry, a monopolistic situation is created. Data from various industries confirm this: index funds with such market power assert their interests leading to higher prices than in comparable situations. 2016-06-01: Prof. Dr. Björn Bartling, born. 1974, has been appointed Professor ad personam for Behavioral and Experimental Economics by the Board of the University. Prof. Bartling studied Economics at the Ludwig-Maximilians-University in Munich (LMU) and at the London School of Economics and Political Science. In 2004 he attained his PhD from LMU. He spent the next years as a Postdoctoral Fellow at the Department of Economics at Harvard University and at the LMU. Prof. Bartling joined the Department of Economics in 2007 as a Senior Research Assistant and was promoted to Assistant Professor in 2011. 2016-05-30: In their current discourse on optimal levels of national debt, the Frankfurter Allgemeine Zeitung (FAZ) discusses the work of Christoph Winter. Winter argues that if wealth and earnings inequality are appropriately taken into account, national debt turns out to be harmful. 2016-05-25: David Dorn discusses changes in the national and international labor market with Brigitta Bernet, an economic historian, in the current edition of the UZH Magazin. Technological progress changes the needs of the workplace and has been a worry to employees for centuries. Prof. Dorn points out that cheaper products allow for more consumption of other services, increasing the demand for jobs which cannot be automated, e.g. childcare. He also argues that, on a global scale, digitalization and automation has helped to decrease income disparity during the last decade. 2016-05-25: In the current edition of the UZH Magazin, Björn Bartling compares fairness considerations in market transactions between Swiss and Chinese students. Whereas both cultures share a very similar understanding of fairness as a moral norm in non-market contexts, they differ in their behaviour in market situations. The social norm of fairness holds stronger against the market forces for Swiss students, leading to fairer transactions. Chinese students are more willing to accept unfairness generated by market interactions. 2016-05-20: On May 19, 2016, The ÖAW (Austrian Academy of Science) awarded memberships to 26 international scientists for their outstanding scholarly contribution and reputation. Ernst Fehr was distinguished for his pioneering contributions in the fields of Economics and Psychology as well as Experimental Economics. According to the academy his interdisciplinary approach has significantly advanced the understanding of human behaviour. 2016-05-22: In this recent interview with the NZZ am Sonntag, David Dorn explains how Chinese imports have changed the American labor market, and along with it, the political climate with implications for the candidates currently running for presidency. He estimates that a quarter of recent job-losses in the US can be attributed to cheap imports from China, jobs that cannot easily be replaced. The effects of international trade agreements depend strongly on the set up of the domestic production market - Dorn argues that the Swiss labor market, producing specialized, high value and luxury goods, is not as strongly affected by these imports. 2016-05-14: The lead article in the United States section of the current edition of The Economist discusses the findings from two recent papers by Hannes Schwandt and presents a differentiated view on the mortality rates by age, race and affluence. While middle-aged white men have higher mortality rates than they did at the end of the last century, among the young—and particularly among young men—the biggest declines in mortality have been seen in the poorest places, usually with a higher ratio of black residents. 2016-05-14: His simple experiments have brought him fame and a great deal of influence. However, the star economist of the University of Zurich, Ernst Fehr, wanted to deal with fairness in particular. Influence? Of course, influence is important to Fehr, very much in fact. Anything else would be dishonest, he finds. It is a basic human need for your work to have an effect. This can even be seen in small children. For example, when they insist on pushing the buttons in an elevator and thus drive the adults to exasperation. 2016-04-06: In view of the upcoming vote on the basic income referendum on June 5th, Fabrizio Zilibotti discusses the challenges of finding redistribution mechanisms that avoid the loss of collective resources and limit opportunistic behavior undermining the foundations of the modern welfare state. Listen to the full talk from Radio RSI (in Italian). 2016-04-26: Fabrizio Zilibotti wrote an article on how increasing inequality could endanger future growth as it weakens social cohesion and creates a foundation for harmful political currents. However, he notes, there is no clear-cut answer to the effects of inequality. Whereas some European countries known for their equality show higher innovation and growth than less equal ones, the US, with high inequality, also has very high innovation rates. 2016-04-22: Wealthier individuals have lower mortality rates at all ages than poorer people. The common assumption that this effect has intensified in recent years is rebutted in a recent study by Hannes Schwandt, published in the current edition of Science. Instead of examining life expectancy at birth, he looks at the mortality rates by age groups in different counties in the USA. This more discerning look at the mortality rates shows quite positive trends. Between 1990 and 2010, the differences in the survival chances of children and young adults from different regions in the USA decreased. Nowadays, disadvantaged children have much better survival chances and are coming closer to the mortality rates of wealthier children. 2016-04-02 Most learning difficulties stem from weaknesses in the working memory. In this article, Ernst Fehr presents the promising findings from a field research project during which schoolchildren played a customized memory game on the computer for one lesson a day. The positive effects on concentration, visual imagination and impulse control could still be measured 12 months after the experimental phase. 2016-03-05: Often, it is hard to understand why people behave the way they do, because their true motives remain hidden. A team around Grit Hein and Ernst Fehr have now shown how peoples’ motives are characterized by a specific interplay between different brain regions and how this interplay allows precise classification of the motives underlying a shown behavior. Research Paper published in Science. 2016-01-26: A new study by labor economists David Autor, David Dorn and Gordon Hanson shows that increased trade with China caused severe and permanent harm to many American workers. Exposed workers experience greater job churning and reduced lifetime income. A big-shot venture capitalist says we need inequality. What do economists say? 2016-01-14: At the the annual conference of the American Economic Association in San Francisco, a group of five economists, including Philippe Aghion of College de France and David Hémous of the University of Zurich, unveiled a study that speaks directly to the Silicon Valley effect on inequality. They looked at levels of innovation (as measured by a particular kind of patent production) across individual states over time. They found a significant relationship between increased innovation in a state and the increased income share of the top 1 percent of earners in the state. Should cable television channels be offered à la carte? 2015-01-11: It’s easy to see why à la carte catches policymakers’ interest. Prices for cable service have risen far faster than inflation for decades, even on a quality-adjusted basis, and in 2011 averaged almost $57.50 for the most popular bundle, despite the nominal growth of competition from satellite and telephone company entrants. Gregory Crawford (UZH) and Ali Yurukoglu (Stanford) take a fresh look at this question by drawing upon insights from two literatures in economics.